Food Plant: Aesculus hippocastanum (Horse Chestnut), Aesculus carnea (Red Horse Chestnut), Aesculus turbinata (Japanese Horse Chestnut), Sycamore (Acer pseudoplatanus), Norway maple (Acer platanoides). Notes: First discovered in Macedonia in 1985, it has rapidly spread across Europe and is gaining a rapid foothold in the UK, since its discovery in 2002. There can be many mines on a leaf and the miner can cause serious defoliation. 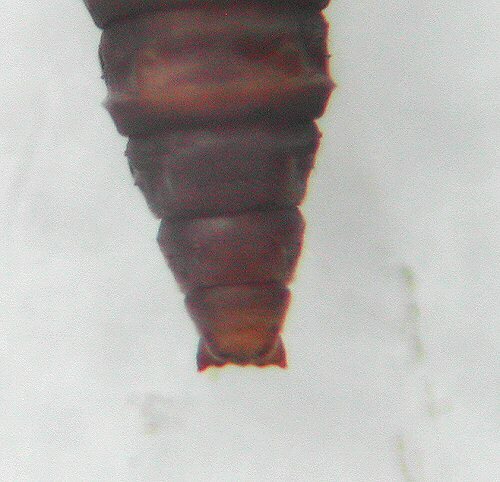 The pupa is formed inside the leaf in a cocoon. The cremaster has a ridged triangular form. 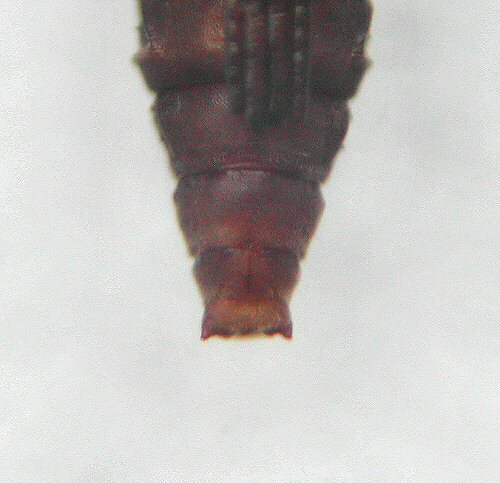 the top is the dorsal view and the lower photo is ventral.